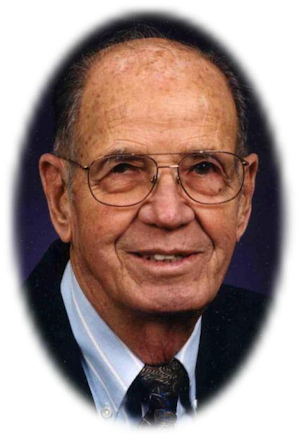 Obituary – Henry, Irl Wayne « Perry High School Alumni Association, Inc.
﻿- son of Mr. and Mrs. Irl Henry, 1106 Holly street. He was born in Perry November 26, 1921. He attended the Holdenville and Shawnee schools before coming to Perry. He was a member of the wrestling team for four years and captain for this past year. He lettered in wrestling two years. He is a member of the local DeMolay chapter and is a Life Scout. He is interested in all sports as hobbies. His plans for next year are undecided. Irl Wayne Henry, 84, died Tuesday, June 6, 2006. Family visitation will be Friday, from 6-8 p.m., in Brown Dugger Funeral Home, Seventh and Jackson in Perry. Services will be at 2 p.m. Saturday in the First Baptist Church, Seventh and Fir, in Perry. He was one of Perry High School Wrestling’s most loyal fans. He followed his beloved Maroon wrestlers not missing a single state high school wrestling tournament for 54 years in a row. He was also “the Voice of Perry Wrestling” for many years. He was recognized as the Perry Wrestling Fan of the Year in 1988-89 and 1995-96. He is now with the Lord in heaven and will continue to cheer for PHS wrestlers from the bleachers in the sky. He was born Nov. 26, 1921, in Perry, the first son of Irl and Verla (Oden) Henry. 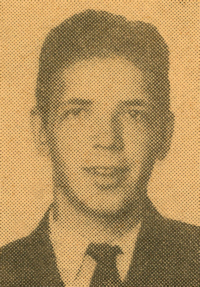 He graduated from Perry High School in 1940. He worked until enlisting in the U.S. Navy during World War II from 1943-45, serving on the Battleship USS New Jersey as a Gunner’s Mate First Class in the Pacific. Upon being honorably discharged, he attended Central State College (now UCO) and was a member of the wrestling team. It was in 1946 that he met the love of his life in Perry, Hulda Mary (Duncan), whom he married Aug. 28, 1948, in the Perry Baptist Parsonage. They shared a wonderful and happy 57 years together. Continuing to support his country, he served in the US Naval Reserve. He was called up for duty in November 1950, two months after his first child, Kathy, was born. He and his new family were stationed on the west coast until late 1951 when he was sent to serve in the Korean War on the aircraft carrier, the USS Essex. He was honorably discharged and returned home, arriving just two hours after his second child and first son, Terry, was born in 1952. A second son, David, was born in 1956. He worked for Sinclair Oil and Gas, which later became Atlantic Richfield, for a total of 36 years, after which he retired. A devout Christian and member of the First Baptist Church, he served as a Sunday school teacher and greeter for many years. He left a legacy of helping many young people, serving as the Scoutmaster for Troop 44 in Perry for 17 years. He was recognized with the Silver Beaver Award, one of the highest awards in Scouting for Scout leaders. He was also a pee-wee baseball coach for his sons’ teams for many years. Fish in Oklahoma lakes can breathe a sigh of relief now that he will be fishing in heaven. He loved fishing and filled time between wrestling seasons trolling for that next big catch. When the fish weren’t biting, he loved to spend his time wood carving, creating a menagerie of animals and odd characters, many of which have been displayed around Perry at various times. He never met a piece of wood he didn’t like. He was preceded in death by his parents, an infant brother, Edward; brother, Don Henry and sister, Verla Connelly, as well as numerous old fishing buddies. Survivors include his wife, three children, Kathy Henry and husband, Jamie Jamieson, of Tulsa, Terry Henry and wife, Laura, of Houston, Texas and David Henry and wife, Leota of Perry; four grandchildren, Kimberly Baker and husband, Chad, of San Clemente, Calif., Mickey Henry of Dallas, Texas, Michael Henry of Edmond and Adam Jamieson of Tulsa; three great grandchildren, Sklya, Kaylyn and Dylan Baker; two brothers, Ronald Henry and wife, Ethmer, of Odessa, Texas and Bob Henry of Walters and one sister, Carmelita Austin of Troy, Mich.
Memorials may be made to the Perry High School Wrestling Foundation or First Baptist Church of Perry. Please send donations in care of Brown-Dugger Funeral Home, 1010 7th St., Perry, OK 73077.